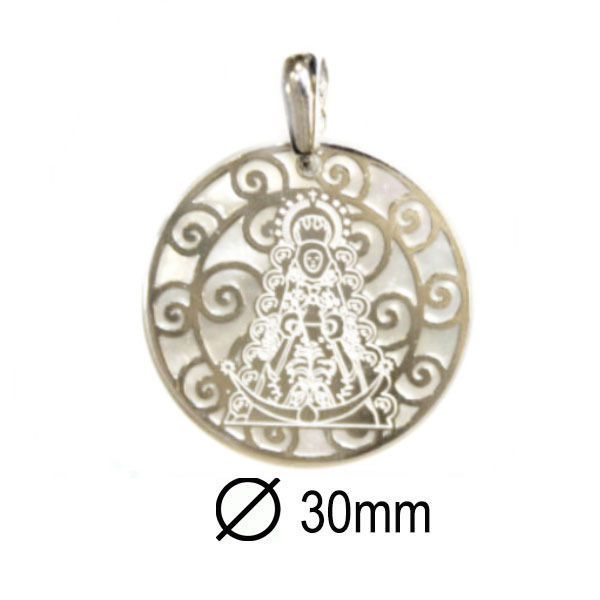 Image of the Virgen del Rocío in hanging circular silver rhodium-plated 925 thousandths, on basis of mother-of-Pearl. We deliver with silk in black with locking carabiner silver lace. Size Ø 30 mm. Presentation in case the signature Stradda available in silver plated.